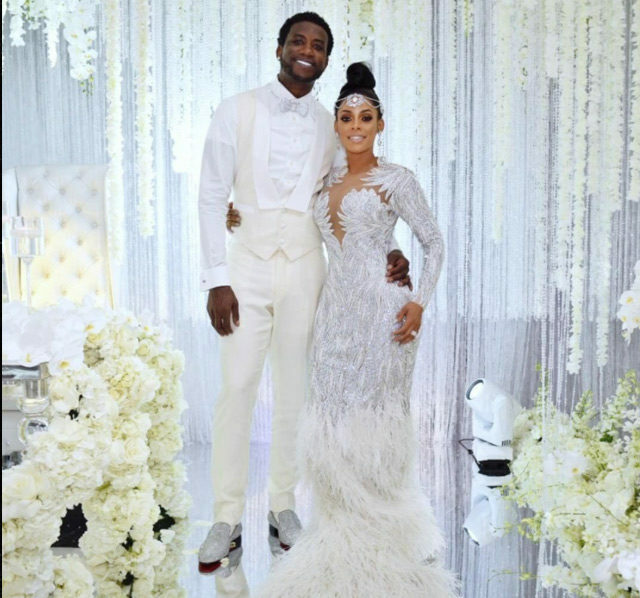 We saw appearances from Big Sean, Jhene Aiko, Rick Ross Lil Yatchy, P. Diddy, 2 Chainz and many more at the start of the evening for Gucci Mane’s wedding aired on Tuesday night. Rapper Gucci Mane and Beauty/Fitness Entrepreneur Keyshia Ka’ior have tied the night in front of the world in the first episode of their hit new reality show The Mane Event on BET. The hot Miami night was filled with glitz and glam as the two shared their experiences leading up to their day of matrimony. The two spent a rumored number of $1.7 million on the wedding. BET will share the moments leading up to the wedding in a 10-episode series on Tuesday nights. Check out more images from the wedding.